At Stevens Creek Volkswagen we believe that people matter. What you will experience here is a dealership where every team member cares about you - and your community! We've created this custom video to let you know that as soon as you walk in at our dealership, you will be greeted with the language you're most comfortable with so your experience will be comfortable and easy. This is just a small part of our commitment to the best experience possible for you and your family! 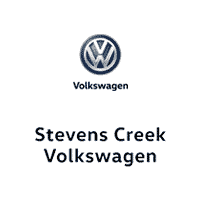 Stevens Creek Volkswagen	37.322449, -121.9805178.